J.G. Parks & Son, Inc. is proud to announce the continuing education of two additional technicians on the DD15 engine line. J.G. Parks & Son, Inc. now boasts multiple technicians who have successfully completed the Detroit Diesel DD15 Major Repair Training. With expertly trained technicians, diagnostics and reprogramming workstations and advanced tooling, J.G. Parks & Son, Inc. continues to stay current on all the latest industry developments while also exceeding the expectations of the most demanding customers. J.G. Parks & Son, Inc. is an authorized warranty repair facility for the Detroit Diesel DD15 engine. 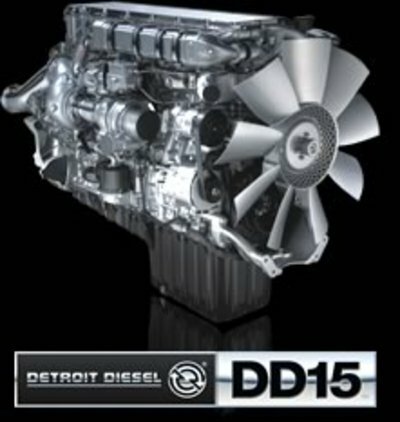 The DD15 engine is part of the newest line of Detroit Diesel engines. The DD15 features best-in-class fuel economy, up to 5 percent better than the Series 60 which is mostly attributed to its turbo compounding technology and Amplified Common Rail Fuel System (ACRS). Turbo compounding systems operate by recovering normally wasted exhaust gases and turning them into reusable power without sacrificing fuel. The DD15 highlights increased torque response and industry-leading power and performance. The new DD15 also features a smoother, quieter engine.